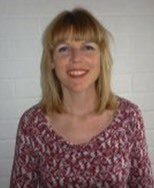 I am an accredited member of the BACP and a fully qualified counsellor and couple counsellor. I have an Advanced Diploma in Integrative Counselling (2000), Relate Graduate in Couples Counselling (2004) and a Master Practitioner in Eating Disorders and Obesity (2014) I have over 14 years’ experience of working therapeutically with adults in one to one, group and couple settings. Currently I work in GP surgeries, seeing people who have been referred by their Doctor. I am passionate about the Understanding Your Eating Programme which has been developed by Professor Julia Buckroyd to help you understand your relationship with food. I feel I can also empathise having had my own history of emotional eating and dieting which has given me a greater understanding of what clients may be experiencing. I have a private practice based in Beverley, East Riding of Yorkshire and offer both individual and group sessions. As a licensed practitioner for the Understanding Your Eating Programme I offer both one to one and small group sessions in North Yorkshire and County Durham, mainly in the Richmond and Darlington area. Please contact me directly to discuss other locations. I aim to establish a relationship of trust and create a safe environment for my clients so that we can work together and participants in the workshops can develop appropriate support networks as the programme progresses. I have been working therapeutically with clients for 7 years and have over 15 years experience as a coach. I work with clients experiencing stress, anxiety, depression, bereavement and other issues impacting on mental health and wellbeing. I am currently completing my Doctorate in Counselling Psychology and Psychotherapy (Integrative).